We bring forth heavy duty Direct Action Hand Pump that is high on demand in the international market. 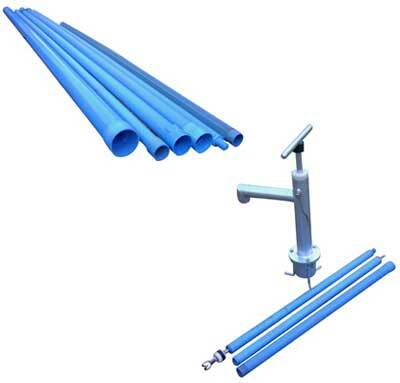 Our PVC Fitting Direct Action Hand Pump is developed and designed as per IS 14106:1996. These direct action hand pumps are easy to handle and have extra durable life. Further, we are one of the ace Deep Well Direct Action Hand Pump Suppliers in India. Casing Size- 80 mm upto 18 meter, then 48 mm below 18 meter. For easy maintenance, it can be disassembledl with the help of two combination spanner even two female can repair it easily.